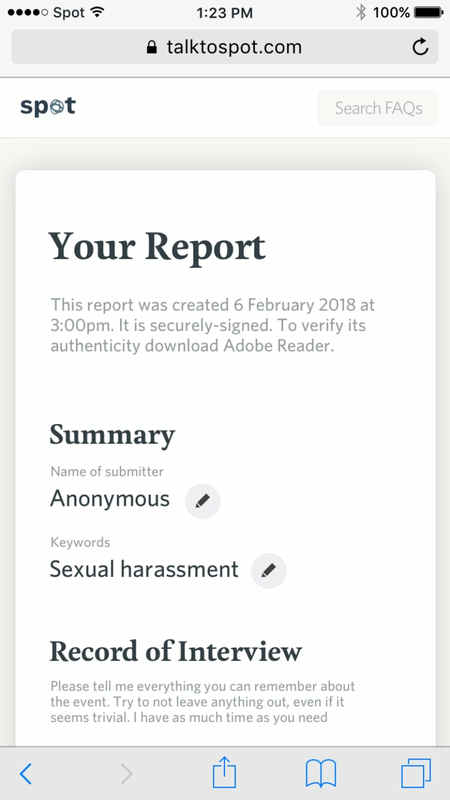 A new online tool aims to make reporting workplace harassment accurate and anonymous. 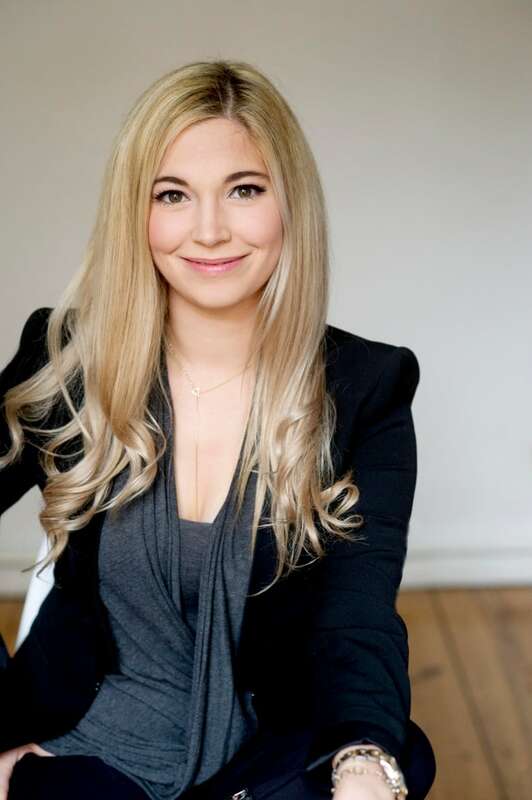 As a psychologist and memory scientist, Julia Shaw understands the way memory works. She wants to improve how people record and report workplace harassment and discrimination so their accounts are accurate. Shaw and her co-founders have created Spot, a chat-bot-style online service that lets users anonymously document workplace incidents. "We know that most people who experience harassment and discrimination never speak up," Shaw said. "One of the big barriers is talking to a human being, because it's really awkward to go to someone in HR and say 'I think this happened to me … is it even harassment or discrimination?' Maybe you don't want to escalate it right away." As well, many people are concerned about the negative repercussions of reporting incidents. "They're worried about things like getting fired, they're worried about being ostracized at work," said Shaw. Spot's answer is to create a system that lets you report anonymously on your own time. A user visits talktospot.com and types answers to a series of questions about their experience and how it affected them. Sample screenshot of a Spot chat. (Spot)Spot uses natural language processing to ask follow-up questions. Once completed, users can review what they've written, and create a time-stamped document, which they can either keep themselves, or submit to their employer's HR department via Spot. Spot says it deletes reports after 30 days. The time stamp is important. Shaw's memory research focuses on the fallibility of human memory. "Our brains are pretty bad at keeping all the relevant details in mind if we ever want to talk about it later," she said. "This lets you keep a record; it's time stamped, it proves what you remembered on a certain day, and you can use that whenever you want." In addition, Spot's question and answer style uses what's called a "cognitive interview" technique. "One of the ways that memories can become inaccurate…are if someone asks the wrong question," such as a leading question, she says. The cognitive interview was designed to ensure police interviewing is evidence based. "The questions are asked in a way that actually makes sense for memory and gets as much reliable information as possible," she adds. 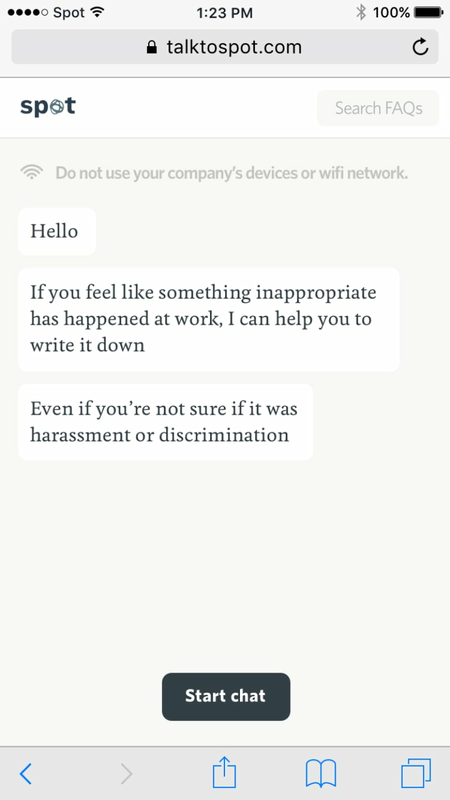 But if Spot makes it more comfortable for people to file a complaint than sitting face-to-face with HR, and do so anonymously, does it increase the likelihood that people might launch malicious or unfounded claims? "People already have the ability to file anonymous reports," Shaw said. "Ultimately, a Spot report should be taken as the starting point for an investigation. Just like if someone reports something to you in person, you don't take that necessarily as definitive proof...you use that as the beginning for looking for other evidence...and then deciding what the best response is." 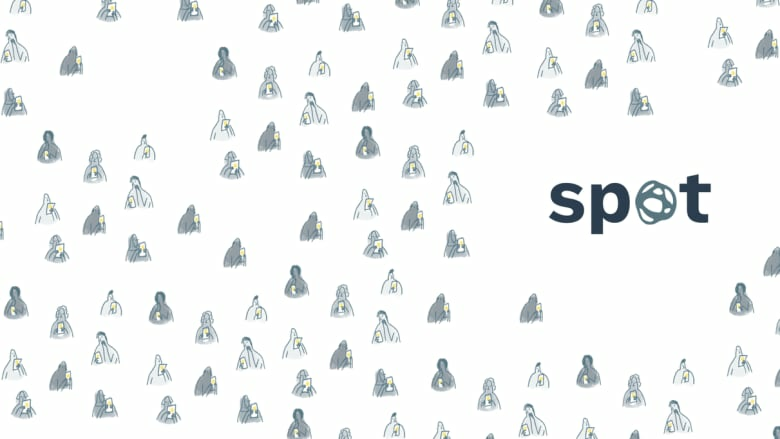 Spot's planned business model is to offer this as a paid service to companies, in order to manage and respond to reports of harassment and discrimination. The tool will continue to be free for individuals to use to report incidents.